Youth Conversations - What Does Success Mean To You? 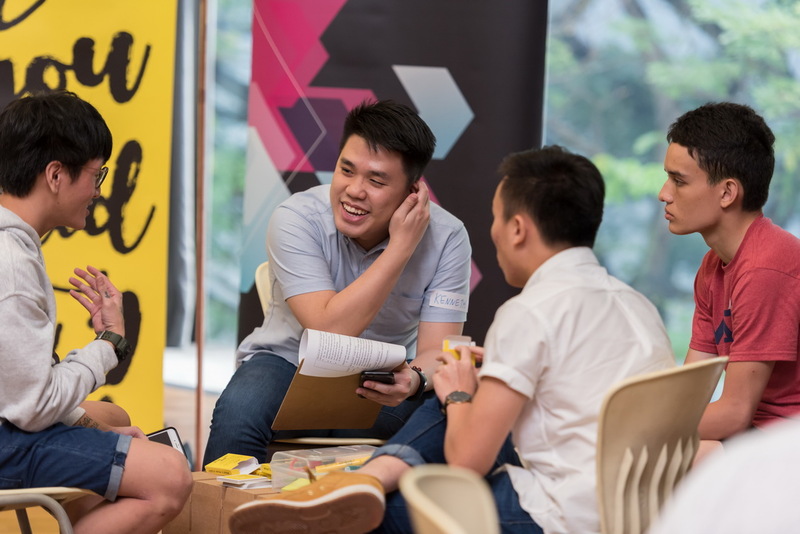 Youth Conversations – What Does Success Mean To You? 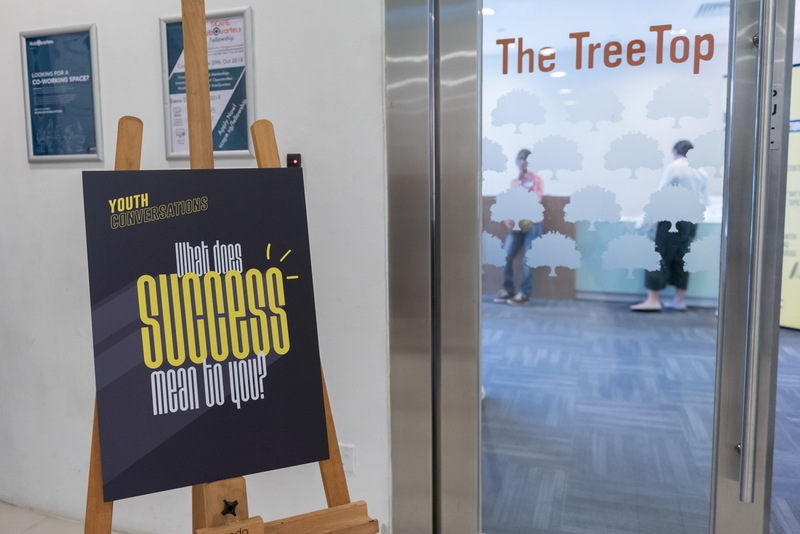 The National Youth Council has recently organised a series of talk catered to youths, titled What Does Success Mean To You? 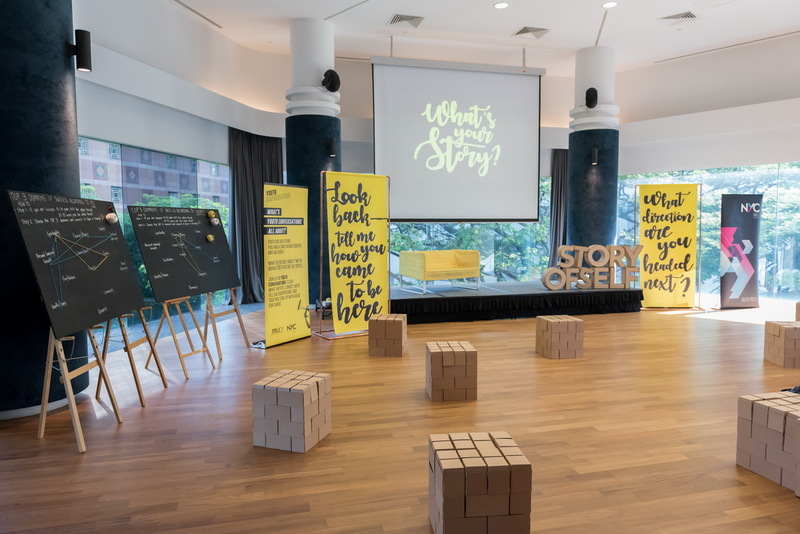 on the 25th August and 1st September respectively, with guest speakers, our co-founder Sylvia, Zouk’s lawyer and DJ, Jared Kong, a local singer-songwriter, Inch Chua, and founder of We Are Majulah and CEO of Storyteller Productions, Divian Nair. 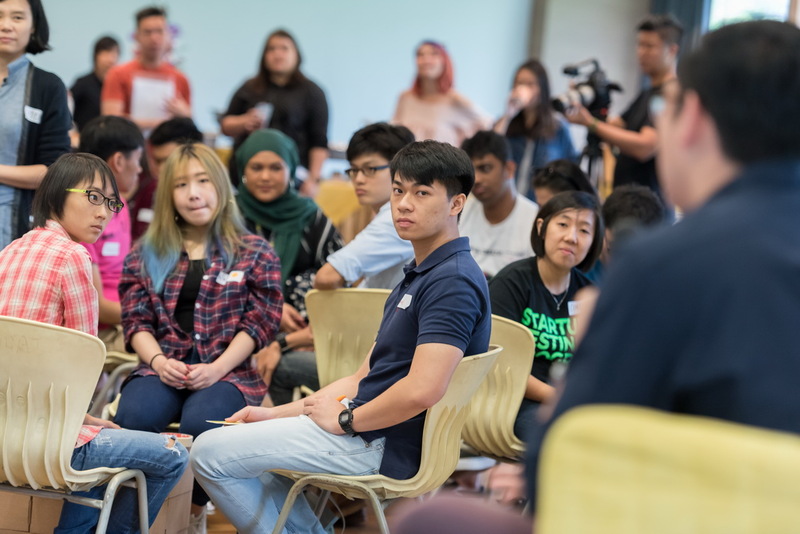 This series of talks were catered to youths aged between 19 to 29, who may have just started on their university education or are taking their first steps in the career to find out what’s their definition of success. 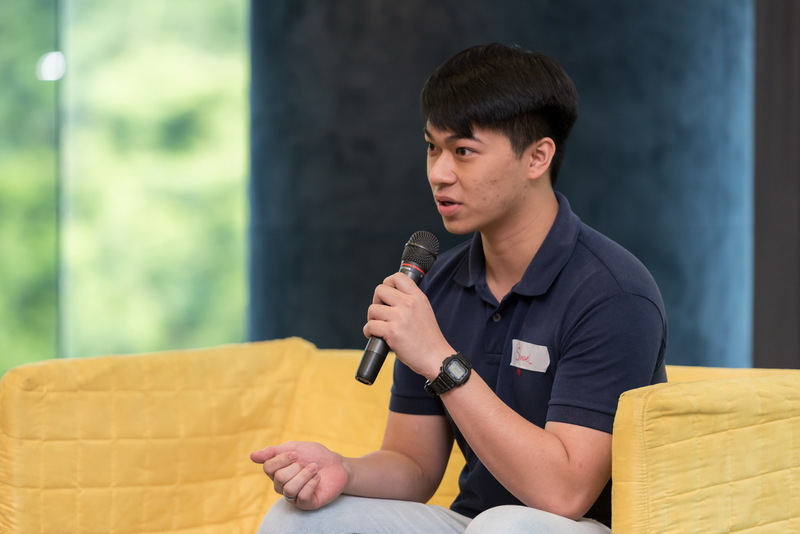 Also, the talks provided these youths with the opportunities to raise questions to these successful individuals in their own respective fields on their definition of success, thus offering their insights to the youths’ own perception of success. 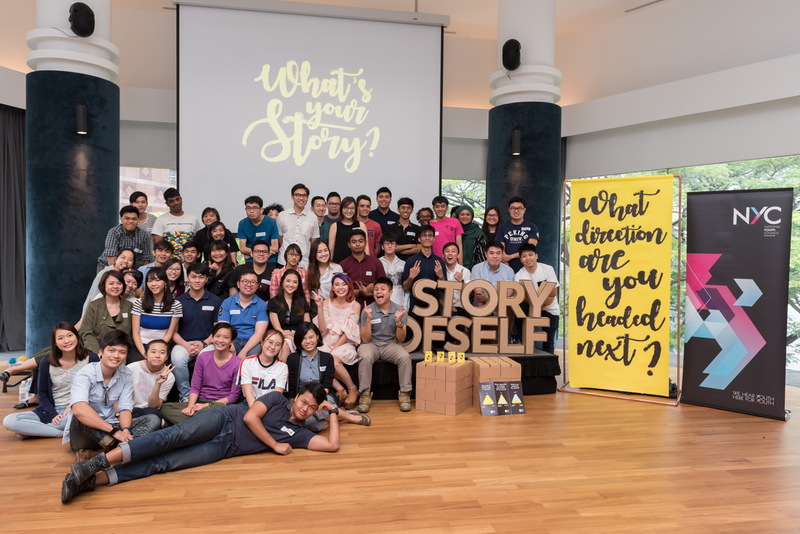 Held at a cosy space at *SCAPE, Treetop where the participants can attend for free, the youths are encouraged to mingle around and interact with the exhibits. The cosy interior allows the youths to be at ease and to sit anywhere they like. 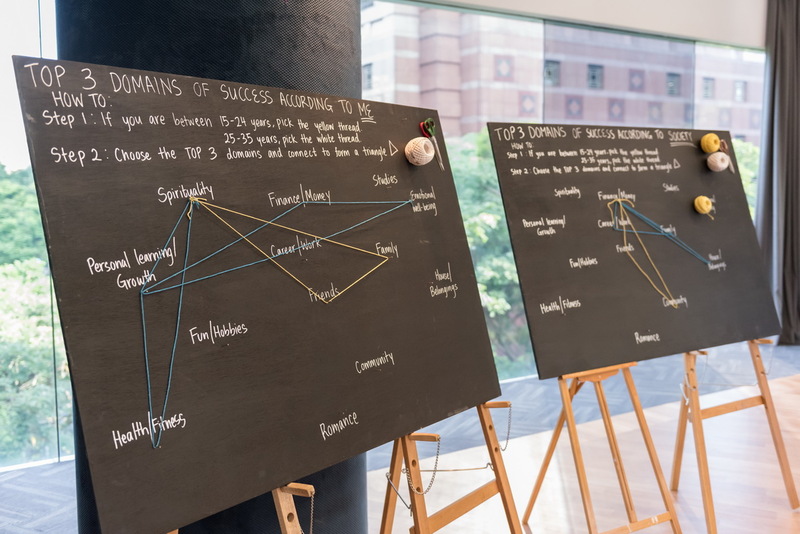 And before the programme got started officially, the participants can actually make use of the interactive exhibits to highlight what are their top 3 domains of success according to themselves, and according to society’s expectations. The threads are also categorised according to the age groups, with yellow for age between 15 – 24 years, and white for 25 – 35 years. The whole rationale for this is not only to illustrate the disparity between one’s personal perception of success and society’s perception of success, but to also highlight how perceptions of success may change or evolve as one were to grow older. 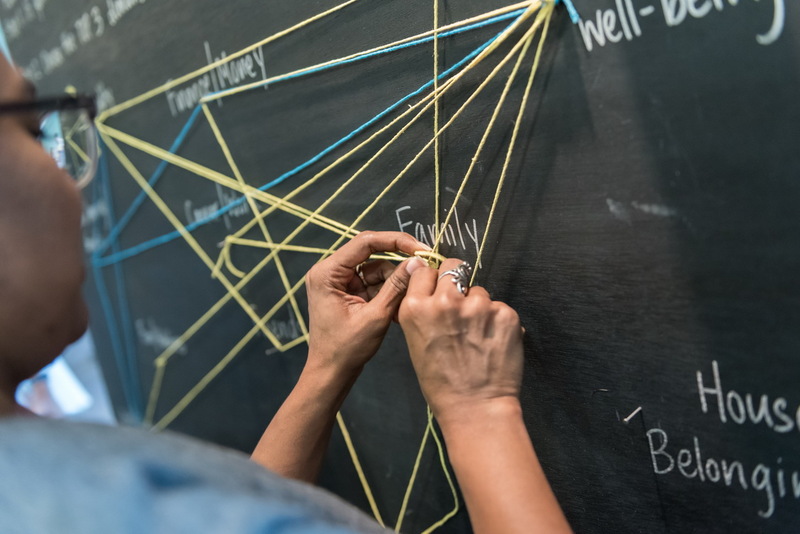 Notice how the whole board gets more and more complicated as a whole when more threads are added onto it, showing that even for the same age groups, people’s perceptions of success are inherently different from one another. And the underlying implication of this is simply to pursue your own personal form of success, and not feel the need to meet others’ or society’s perceptions of success. 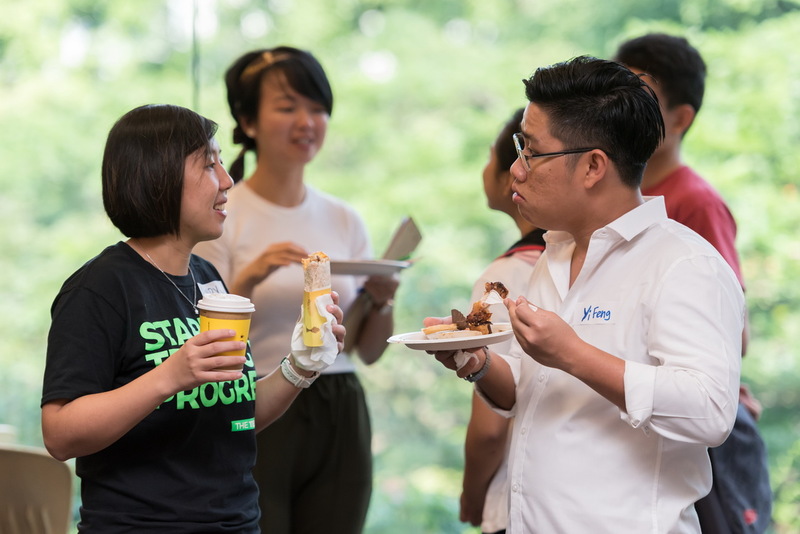 Once done, the participants are provided with light refreshments and they can mingle about, getting to know other participants and exchanging their stories with each other. 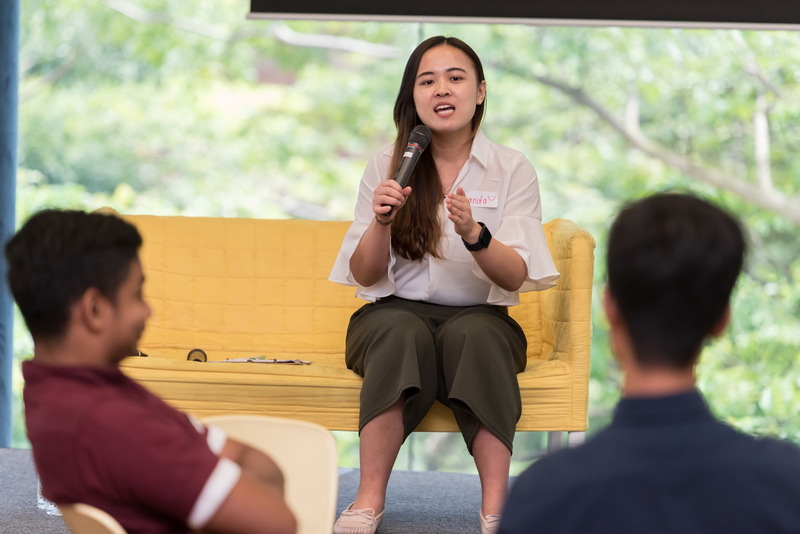 With food as an ice-breaker, and the knowledge that everyone is there for their own personal growth, it was easy to get the conversations started. After which, everyone took their seats, and the speakers of the session got the programme started officially by introducing the objectives and rationale of the talks. 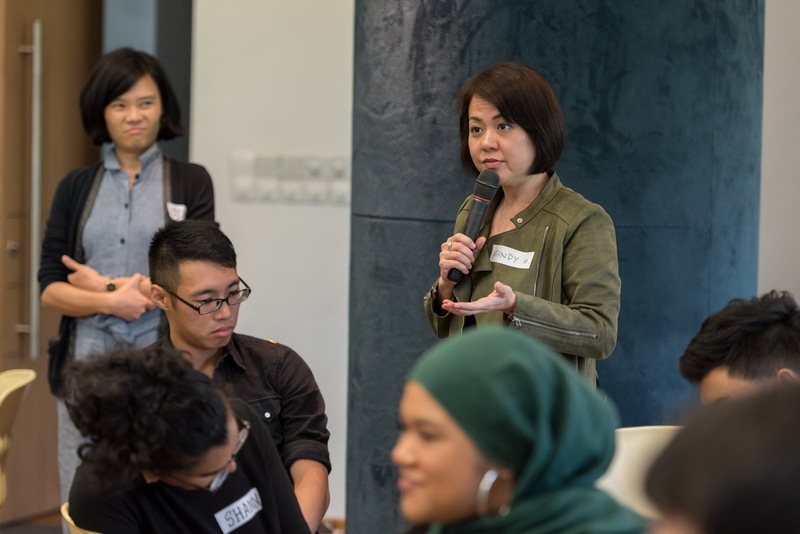 After which, the participants were told to form into groups and then share their background and experiences with each other in order to find out about the perspectives as well as the challenges that their peers face. This will allow the participants to feel that they are not alone in facing problems and doubts while in pursuit of their own personal success, and they may be able to learn from each other. 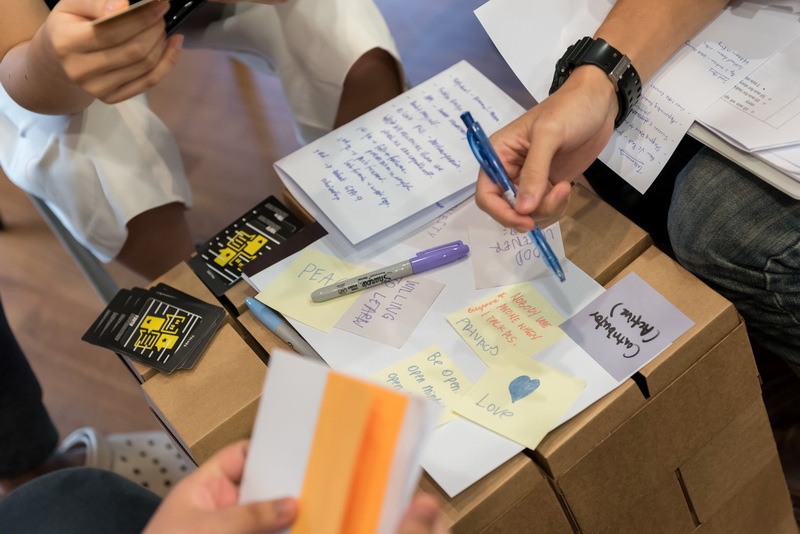 After which, the participants were randomly selected to share their stories with the whole class, thus providing interesting anecdotes with everyone to take home at the end of the day. Once the sharing session is done, a deck of cards specially made for the talks are provided to each group. 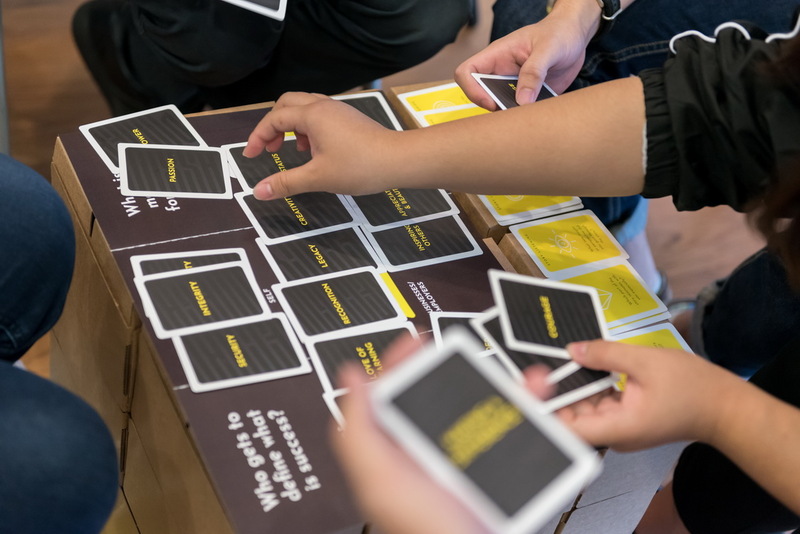 The cards consist of yellow and black cards, with black cards being domains such as Love, Leadership, Power, and the yellow cards are thought-provoking questions meant to encourage the participants to answer verbally to the group members. 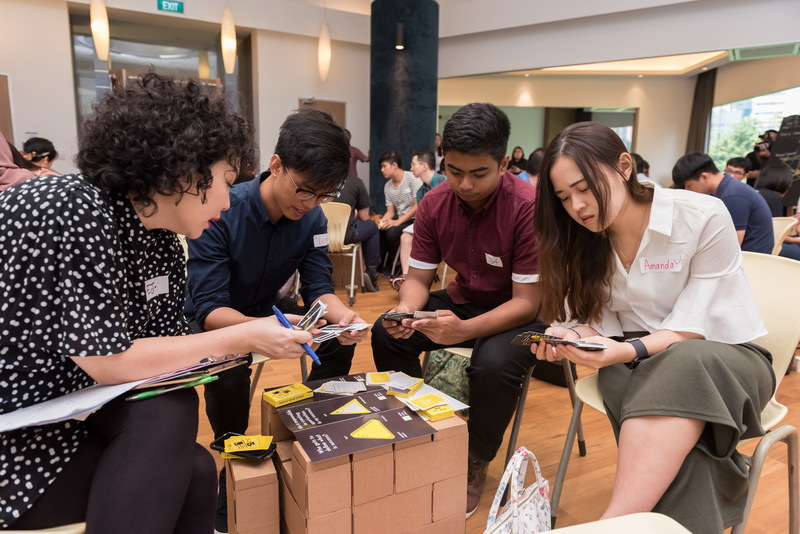 This game allows the participants to listen to each other’s stories and experiences, and then classify the associated domains of success, helping each participant to realise from a third person’s perspective about what they personally identify, thus allowing each and everyone of them to be clearer of what they really want. Once this is done, Jared Kong takes the stage. Holding a title of a lawyer and a DJ at the same time, Jared has a career that society will approve of, as well as one that society disapproves of at the same time. 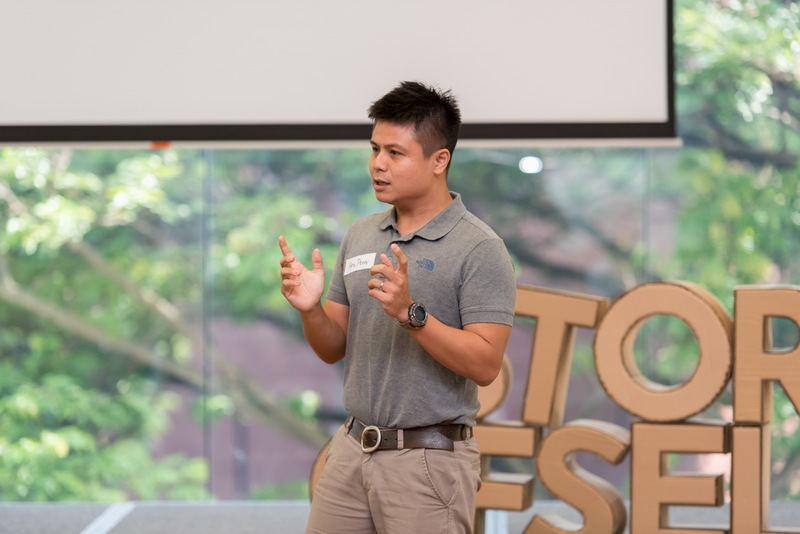 Positioned in such an unique situation, Jared’s experiences and challenges he faced in the process of attaining his success proved to be immensely engaging for the participants of the talk. After which, it was our dear Sylvia’s time on the stage. 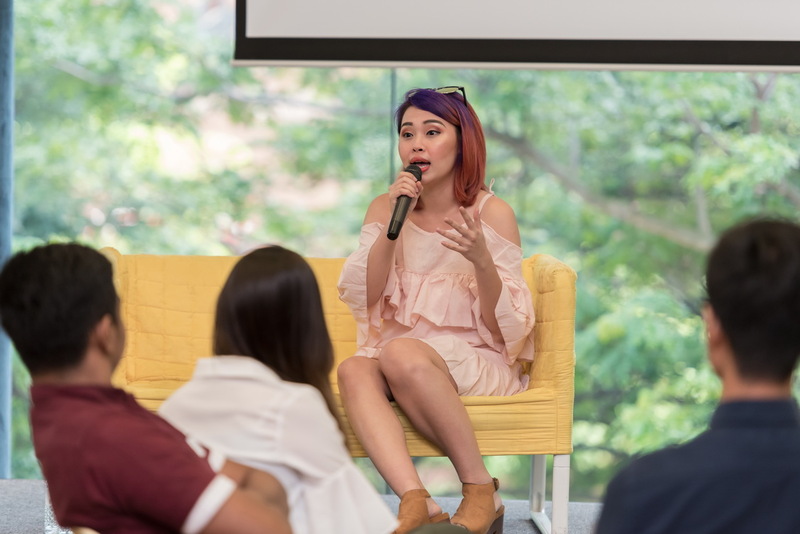 Being the co-founder of Night Owl Cinematics, she shared her experience of how she and Ryan actually got into YouTube, and the fact that their initial intention was not to make YouTube a career, but as a practice platform. 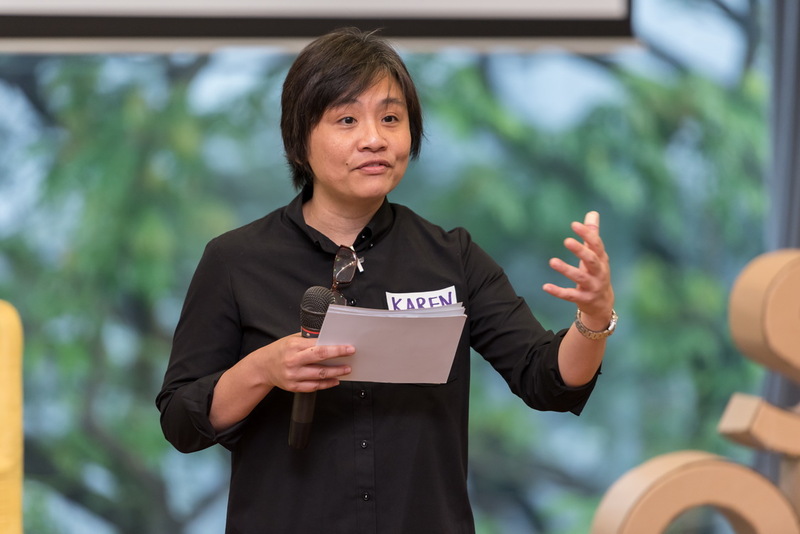 However, their first few videos proved to be a hit with the Singaporean audience, and they decided to continue producing videos on YouTube, and things began to fall in place after they continuously put in effort into it. 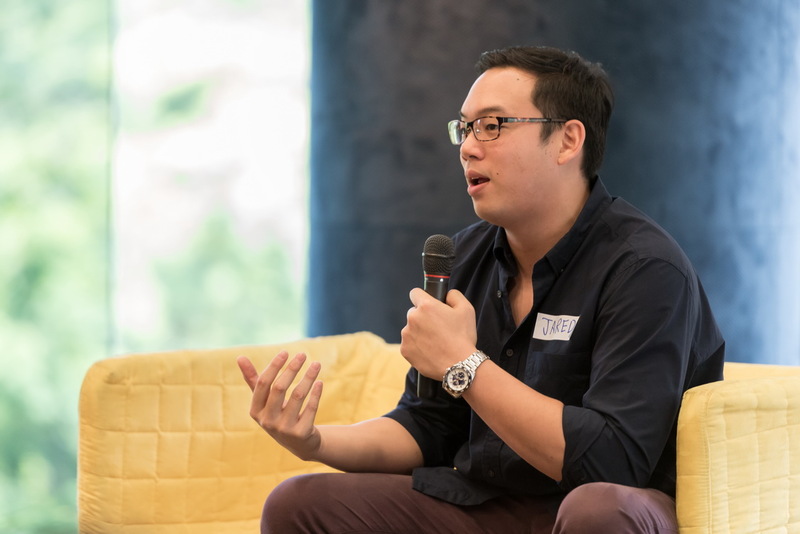 With Sylvia focusing on the business side of things, and Ryan focusing on the cinematography and technical aspects, Night Owl Cinematics began to increase in presence and is now one of the more notable channels in Singapore’s YouTube scene. After which, Sylvia opened the floor for questions, and many took the chance to get to hear from Sylvia. 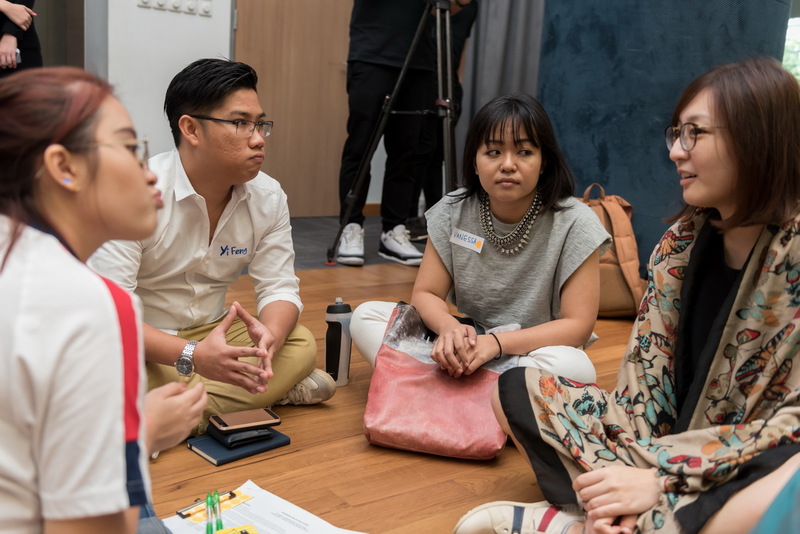 After hearing from the industry professionals who are deemed successful in their own rights, the participants then participated in another round of games. 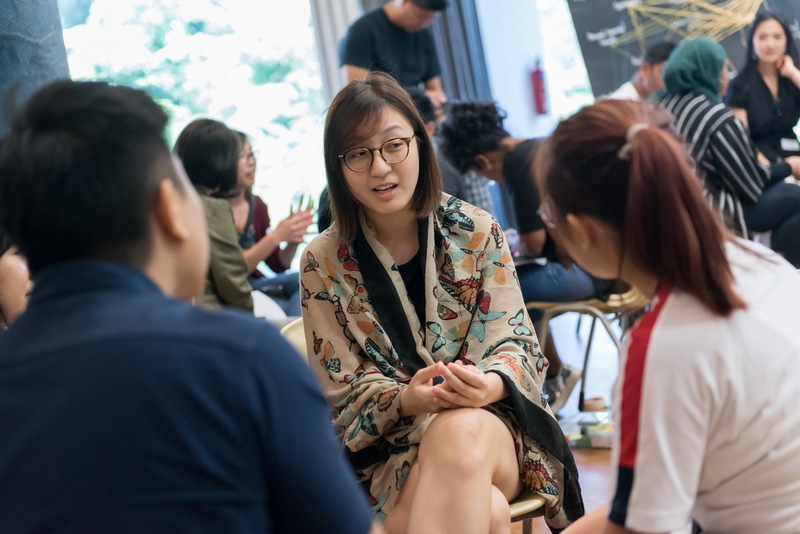 With a better understanding after attaining the insights from the professionals, the participants would have a better idea with regards to their own personal success. Once again, a few participants were invited up on stage to share their thoughts and insights after the whole session. After which, the session ended and everyone gathered for a group photo to commemorate the success of the session. With almost 50 participants, there are probably just as many different perceptions of what it means to be successful. The whole idea of having such a talk is to reconcile the conflicting ideas of what one perceives as success versus society’s general perceptions of success. It is not wrong to be different, and it is still possible to achieve success while being different, as shown by the guest speakers. There is no straightforward answer to achieving success, but what really matters is the attitude you hold towards your goals. Feeling that you’ve missed out? 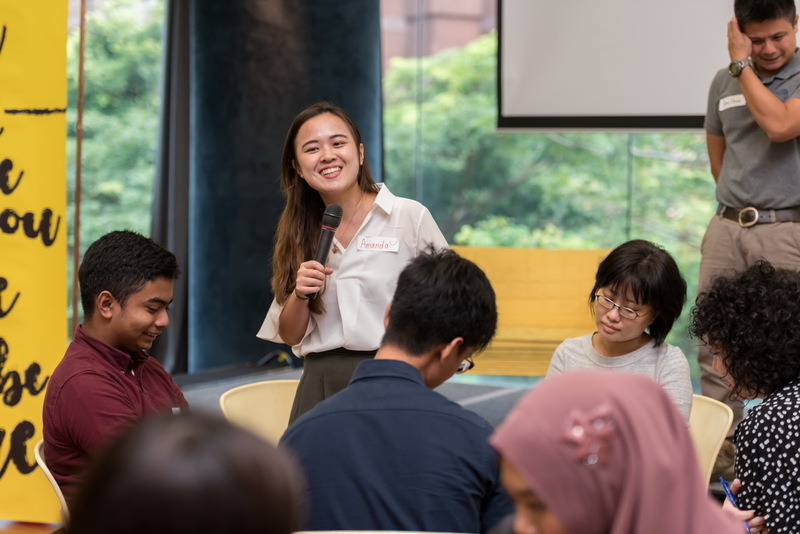 Stay tuned to NYC’s website: https://www.nyc.gov.sg/en/initiatives/programmes/youth-conversations/ for more of such insightful conversations, and also check our Events page for any updates for any upcoming NOC events: https://noc.com.sg/events/ ! NOC Advises – Motivate My Son Please!NOC Visits Montigo Resort!